Terri Lyne Carrington granted the wishes of her fans around the world. 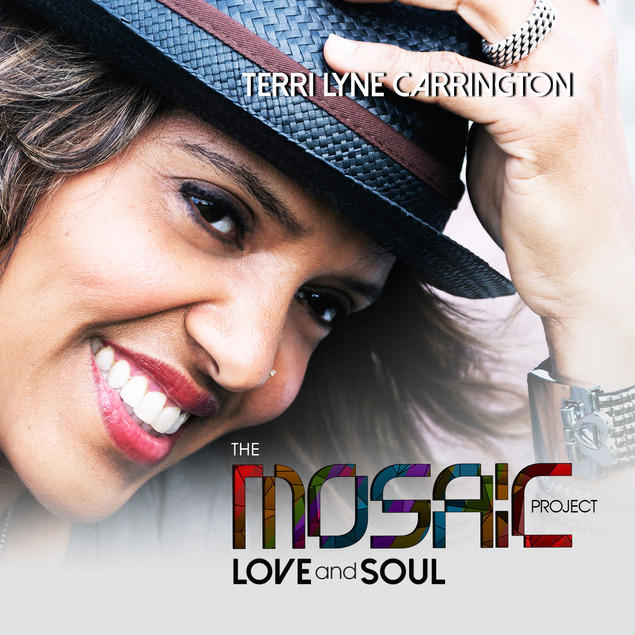 On August 7th, 2015, she released the follow-up to the GRAMMY award winner for Best Jazz Vocal Album “The Mosaic Project,” “THE MOSAIC PROJECT: LOVE AND SOUL.” The stellar all-female ensemble consists of extraordinary vocalists and astounding musicians. Adding intrigue by his own request is the undeniable voice of Billy Dee Williams, garnishing the project with spoken word. “THE MOSAIC PROJECT: LOVE AND SOUL” is Terri’s expression of the language between men and women. In creating so, she also added a voice message from her dear friend, the late George Duke. The list of exceptional artists featured include: Natalie Cole, Oleta Adams, Lizz Wright, Chaka Khan, Chante Moore, Valerie Simpson, Nancy Wilson, Paula Cole, Jaguar Wright, Ledisi, Lalah Hathaway, Rachel Z, Patrice Rushen, keyboardist Geri Allen, saxophonist Tia Fuller, trumpeter Ingrid Jensen, and bassists Linda Oh and Meshell Ndegoecello. To say that is a lot of powerful talent on one project is an understatement. Terri as drummer, composer, producer, and singer created a project that was reflective of her love of R&B and Jazz. The twelve song album consists of six covers and six originals. She paid homage to great classics and singers of all time such as Frank Sinatra, Bill Withers, Ashford and Simpson, Patrice Rushen, and Duke Ellington. I asked her what she couldn’t do after learning that she also plays guitar, bass, and keyboards on some of the songs.